So, what do you want for Christmas? Have a good look at the Master of Malt site and find yourself a tasty tipple (they’ve even got a nifty Gift Finder if you need some inspiration), then follow the links on my banners to share your wish on Twitter or Facebook* using #WhiskySanta. Do you like my new hat by the way? Pretty sweet, huh? November 12th: @flipsygirl received The Whisky Advent Calendar – Red! November 13th: @AwLiketheseason received a bottle of Balvenie 14 Year Old Caribbean Cask! November 14th: @PhileasSkunk received a bottle of Bruichladdich Octomore 5 Year Old 06.3 – Islay Barley! November 15th: Jo Lawson on facebook received a bottle of Penderyn Bourbon Cask B227! November 16th: @00Gallagher received a bottle of Bunnahabhain 18 Year Old! November 17th: @Robertsonmalt received a bottle of Redemption 6 Year Old Rye – Barrel Proof! November 18th: @Jamie_Rowley received a bottle of Darkness! 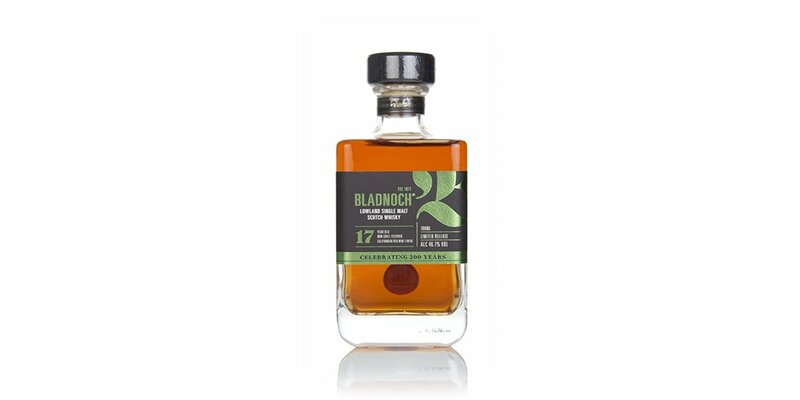 Bruichladdich 12 Year Old Pedro Ximénez Cask Finish! November 19th: @cenbons received a Build Your Own Advent Calendar! November 20th: @liamsweeney019 received a bottle of Arran Founder’s Reserve! November 21st: @morrismandan received a bottle of Hibiki 12 Year Old! November 22nd: @__ProjectMonkey received a bottle of Longrow 18 Year Old! November 23rd: @DavidCraikPhoto received a bottle of Master of Malt 30 Year Old Speyside Whisky Liqueur! November 24th: @MrsBaconCameron received a bottle of Glengoyne Cask Strength – Batch 3! November 25th: Conrad Engelhardt on facebook received a bottle of Applewood Bake 1988 (bottled 2015) – Wemyss Malts (Invergordon)! November 26th: @Dean_McKean received a bottle of The Glenlivet Archive 21 Year Old! November 27th: @ErisEveiller received The Botanical Ginvent Calendar! November 28th: @I_am_Confuzzled received a bottle of Oban 1999 (bottled 2014) Montilla Fino Finish – Distillers Edition! November 29th: @SoundersFC_Fan_ received The Premium Whisky Advent Calendar – Red! November 30th: @beasled received a bottle of Smooth Ambler Old Scout 8 Year Old Rye (cask 1361) Single Barrel Release! December 1st: @_BlackW0lf received The Absinthe Advent Calendar! December 2nd: Sara Liming on facebook received a bottle of her Dad’s favourite Bruadar Malt Whisky Liqueur! December 3rd: @daxledbetter received a bottle of Ardbeg 23 Year Old 1991 (cask 10274) – Directors’ Cut (Douglas Laing)! December 4th: @allyrowhawk received a bottle of Dalmore King Alexander III! December 5th: @JBjornvagen received a bottle of Talisker 2003 (bottled 2014) Amoroso Finish – Distillers Edition! December 6th: @maltyyyyyy received a bottle of Longmorn 2002 (bottled 2015) – Gordon & MacPhail! December 7th: @allanmb received a bottle of Glenfarclas 21 Year Old & 101 World Whiskies To Try Before You Die by Ian Buxton! December 8th: @Wulfran85 received a bottle of Ardbeg Corryvreckan! December 9th: @Matt_A_D received a set of Drinks by the Dram Premium Whisky Crackers! December 10th: @SanjieB received a Wintersmiths Ice Baller Kit! December 11th: @jobeau37 received a bottle of Balvenie 21 Year Old PortWood Finish! 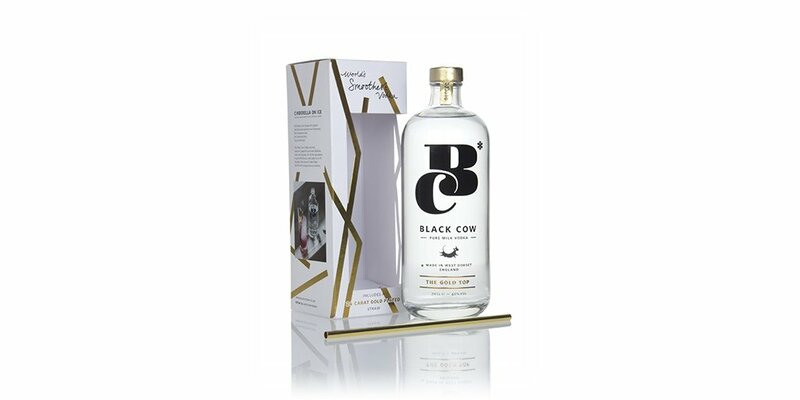 December 12th: @MiniTwirl received a bottle of Blackdown Christmas Pudding Vodka! December 13th: @georgegabriel received a bottle of Smooth Ambler Old Scout 10 Year Old Bourbon! December 14th: @Bulgenen received a bottle of Miltonduff 21 Year Old 1994 – Strictly Limited (Càrn Mòr)! December 15th: @viewfromygarden received a bottle of Highland Park 24 Year Old 1990 – Single Cask (Master of Malt)! December 16th: @PhilWil17 received a bottle of Isle of Jura 30 Year Old! December 17th: @Alistair_James received a bottle of Ardbeg Uigeadail! December 18th: @BrendonJiang received a bottle of Darkness! Ardbeg 23 Year Old Oloroso Cask Finish! December 19th: @horner00fiona received a bottle of Bathtub Gin – Magnum (1.5L)! December 20th: Poul Kling on Facebook received a bottle of Dalmore King Alexander III! December 21st: @the_real_reese received a bottle of Mackinlay’s Shackleton Rare Old Highland Malt – The Journey! December 22nd: @Commiegirl received a bottle of Perrier-Jouët 2007 Belle Epoque! December 23rd: @Sportsman_Scott received a bottle of Dalwhinnie 15 Year Old! December 24th: @Michelle__Smith received a bottle of Glenfarclas 105 20 Year Old! * Make sure those Facebook posts are Public and include the hashtag or I won’t be able to see them! ** Well, up until 11.59 AM GMT on 24th December. I’ll be a bit busy later on you see… You know, work stuff. The Ask #WhiskySanta giveaway is not open to any employees or affiliates of Master of Malt, their family members or friends. For your wish to stand a chance of being granted, you must be able to provide a delivery address that we can currently ship to. See Shipping & FAQ. Ask #WhiskySanta will run from 00:01 on 12th November to 11:59 am (GMT) 24th December 2015. One wish will be selected from each day, on the following day, to be granted. The selection made will be final. Entrants must ask for a product available on the Master of Malt website – on Twitter or in a Public post on Facebook – using the hashtag #WhiskySanta. No purchase is necessary. Winners will be announced on the Master of Malt Blog. The decision is final and no correspondence or discussion will be entered into. If you win, you agree that we can use your name and an image of your social media post when announcing the winners of the giveaway and for other reasonable and related promotional purposes (nothing sinister, and we won’t sell your details to anybody else – we promise!). Got to be in it to win it. Would love to win this. a lovely Speyside Malt with a Good body, decent sweetness, rich. Streaks of smoke, apple peels, bruised pears. with a Smooth, rounded palate, gentle sweetness, soft peat. A little smoke whispers sweet nothings. Remember, all wishes must be placed on Twitter and Facebook using #WhiskySanta folks! Just wish I could get a bottle of St Magdelene, the most amazing whisky I have ever tasted. would love to win to make my cake extra special. A wee dram with the slice of cake, of course not in it. oh, yes please. Traditional and stylish. I do hope you're getting my wishes- there are some real corkers in there to titilate and amuse, made me laugh anyway. Just found out my privacy settings have been blocking them. @vieuwfrommygarden is one lucky b…. Getting his/her wish granted on both the 15th and 18th of december.